Applications are hereby invited from suitably qualified candidates for admission into the Medical Darkroom Technician Training Programme for 2018/2019 session at Obafemi Awolowo University Teaching Hospitals Complex, Ile-Ife. OAUTHC Medical X-ray Darkroom Technician Training Programme Recognition & Approval. OAUTHC Medical X-ray Darkroom Technician Training Programme Duration & Entry Requirements. DURATION: The programme lasts for three (3) Calendar years for Freshers and two (2) calendar years for Post Assistant candidates. How to Apply for OAUTHC Medical X-ray Darkroom Technician Training Programme. 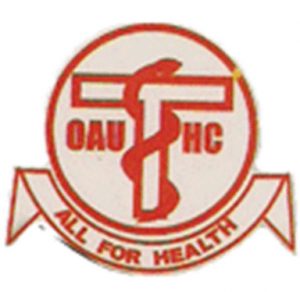 Application forms are obtainable from the Clinical Services and Training Department, Obafemi Awolowo University Teaching Hospitals’ Complex, Ile-Ife at a cost of Five Thousand Naira (N5,000.00) payable through any Bank into the OAUTHC Treasury Single Account (TSA) by generating RRR number. COURSE FEE: The Course fee is Fifty Thousand (#50,000.00) naira only. AWAITING RESULT: Candidates still awaiting their O Level results can apply but the results must be available on the day of the interview. TEST AND SELECTION INTERVIEW: Selection for admission will be based on candidates’ performance at a competitive written test and oral interview to be conducted on 23rd and 24th July, 2018 at MRI Suit, Radiology Department, OAUTHC, Ile-Ife at 10.00 am. Candidates are to bring their original certificates to the Examination Centre. CLOSING DATE: Completed application forms duly endorsed by sponsors, together with photocopies of relevant credentials should be returned to the office where the forms are obtained on or before 29th June, 2018. Applicant must enter his/her functional GSM Phone Number on the application form. Late obtaining and submission of form shall attract a fine of N2,000.00.